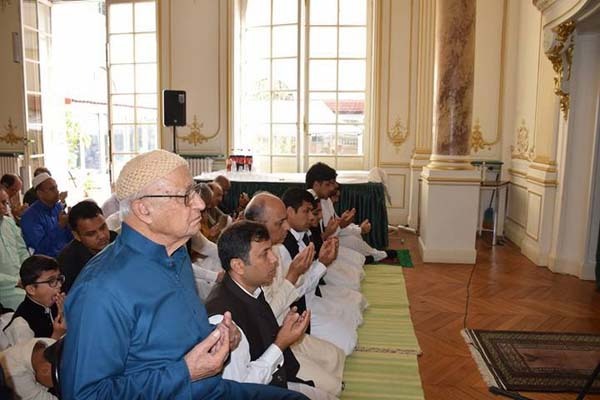 Pakistani community at the Paksiatn Embassy in Paris. lives, according to a statement received here. offered Eid greetings to them.